The majority of our trips are off the beaten path and all are a mix of service, relaxation, excitement, and wild beauty – a chance to step out of civilization for a short time and step into a more simple and uncomplicated life. And all of our trips are on someone’s ‘favorite’ list – if you polled our guides every trip we offer would have an enthusiastic evangelist. But there are a few trips we offer that are classics with deep history of river running, that appeal to a wide range of interests and skill levels, or that are guest favorites because of their uniqueness and accessibility (or all of the above!). The following are those trips. 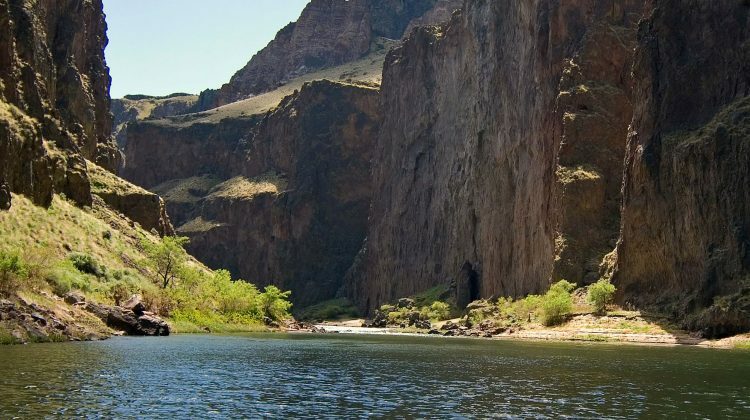 Idaho’s Salmon River, the Rogue River, and the Owyhee River are our classic wilderness trips. These are rivers whose histories help to define the American West and whose beauty and grandeur has touched all that have seen them – from Native Americans, to early American explorers, to modern day visitors. They have a romance and allure that calls to people’s sense of adventure. They are “bucket list” rivers either in their home state or around the world. Their canyons are emblematic of their regions, iconic examples of the most beautiful characteristics of the areas they flow through. From the lush forests and swirling green waters of the Pacific Northwest, to the massive wilderness and grand scale of the Idaho Rockies, to the bizarrely beautiful, lonely, and almost haunting landscapes of far Eastern Oregon. Best of all they all have the unique ability to satisfy three plus generations of family and friends. The rapids, choice of craft and overall experiences leave something for almost everyone; for younger ones, the adrenaline junkies, and for those wanting a more mellow relaxing time. 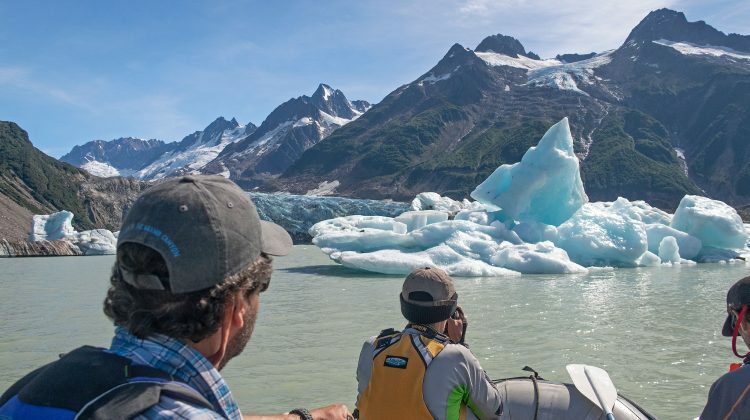 Alaska’s Tatshenshini-Alsek Expedition is a journey through the Earth’s biggest non-polar ice cap and the world’s largest protected wilderness area. It has been called one of the last truly wild river systems & National Geographic named it the world’s #1 river trip. There are not many places left on earth where you feel so small and can see and feel the earth changing right before your eyes. Yet, while the area is extremely remote and the weather can be ever-changing, you do not need to be an experienced adventurer, an athlete, or to have spent a night under the stars to join us. Participants just need to be adventurous, in reasonable physical condition, and excited to see one of the planet’s last frontiers. The ‘Tat’ is another ‘bucket list’ river and one of the most epic wilderness edvenutes on Earth. 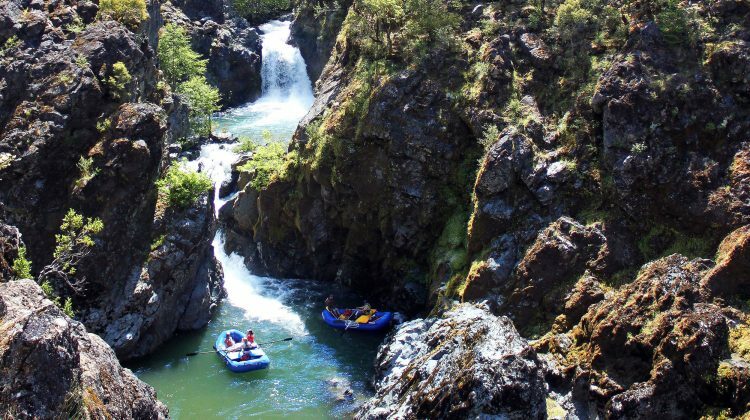 Our Upper Klamath Whitewater Safari trip is an award winning, action packed, and comfortable two or three day luxury river trip. 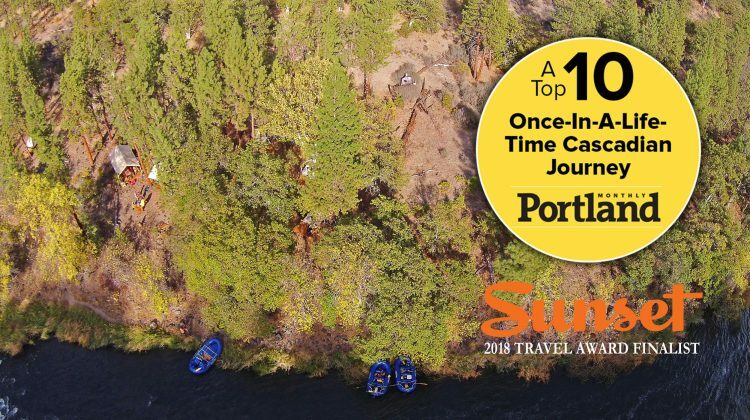 It combines what is arguably the best summer whitewater on the West Coast with a unique backcountry camp that is only accessible by raft and combines near lodge-like comfort and safari-style flare. 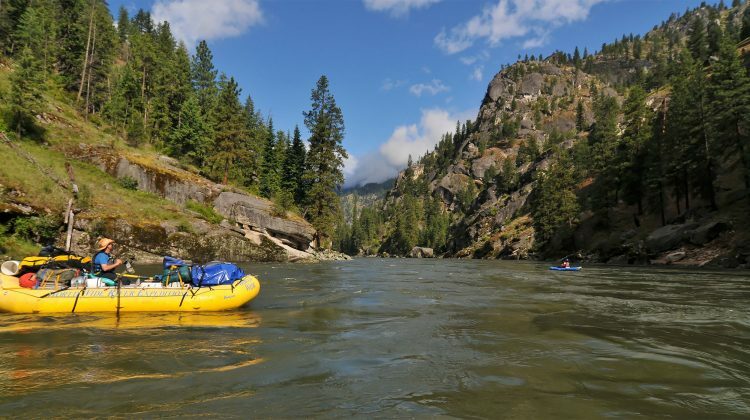 Momentum’s first commercial rafting trip was on the Upper Klamath and it is one of the two rivers that made us choose Ashland, Oregon as our base. It is a guest and guide favorite and people that have joined us on trips all over the west and abroad still try to make time for a ‘UK’ trip every year. With the addition of our safari camp the trip becomes an active, comfortable, & quick outdoor escape – there is no other trip like it in the United States.